Ramón Somoza (1956) was born in La Coruña, Spain. He writes since he was 15, when he was living in The Netherlands. He has an university degree in Computer Sciences, but his experience covers many fields. He has worked as a translator, he has developed software, including simple web applications, desktop or corporate systems and even airborne software (Eurofighter). He has also worked in Manufacturing and Services, as well as the A400M transport Final Assembly Line (FAL). His experience covers data modeling, contract negotiation, program management and even business intelligence and business development. He currently works at Airbus Defence and Space. Ramón Somoza has also worked in standardization groups dedicated to both software and integrated logistic support aspects. He has participated in at least a dozen of these committees, and has chaired two of them at the Society of Automotive Engineers (SAE) and the European Aerospace and Defence association (ASD). He is currently the European chairman of the ASD/AIA SX000i, Integrated Logistic Support Guide. Nevertheless, his favorite hobby is writing. Given that he travels a lot, he writes most of his books during his trips. He speaks fluently five languages. 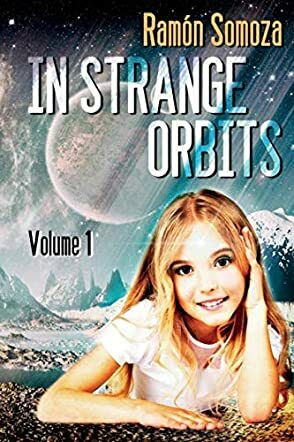 In Strange Orbits by Ramon Somoza is the first book in a series, a sci-fi that will enthrall children and inspire adults. At the age of ten, Tanit is gifted with an unusual intelligence and is a specialist in astrobiology. Thanks to her intelligence, she is sent on a mission fifty light years from Earth. She has hopes of uniting with her mother in the new colony, but she doesn’t know that she’s setting herself up against the worst adversities and untold challenges in a strange world. Will she be able to outwit her enemies? And can she ultimately unite with her mother? In Strange Orbits is a breezy read, a story that is tantalizing, fast-paced, and fascinating. Ramon Somoza has done an amazing job in translating this work. I have never read the Spanish version of this series, but the English is very good, and it is beautiful to watch a young, intelligent girl survive in space. Apart from the writing, the author has created a compelling plot. At every turn, the reader wants to know what will happen to the young heroine. One wants to know how it will end. At times I was tempted to read the last paragraphs before returning to the story. Tanit is the kind of heroine that kids will love; she is a symbol of an age that isn’t yet here. I recommend this series for anyone looking for a perfect combination of science and fantasy.